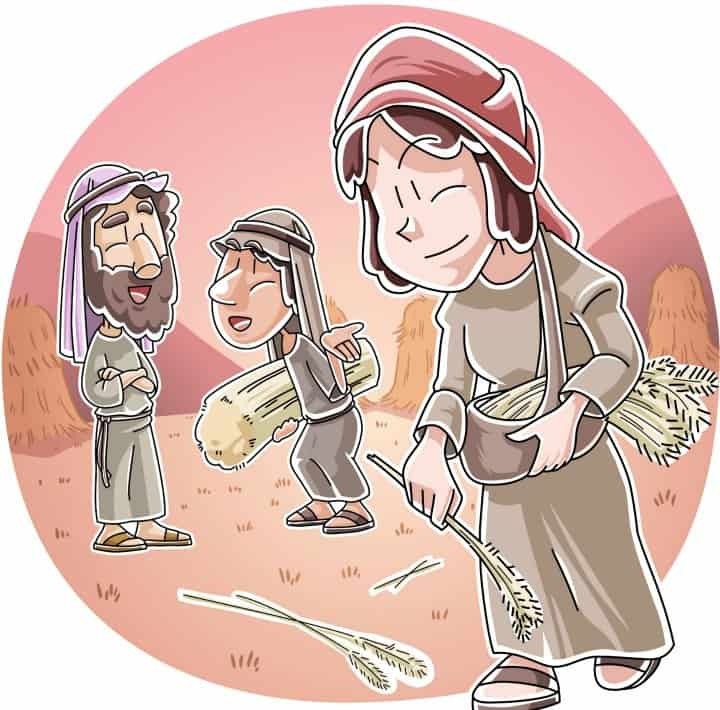 This kids Bible lesson will show how God is Faithful while teaching the story of Ruth and Naomi. It’s ideal for a Sunday School or Children’s church Bible study for kids. Be sure to browse the related resources at the end of this page for even more teaching ideas. 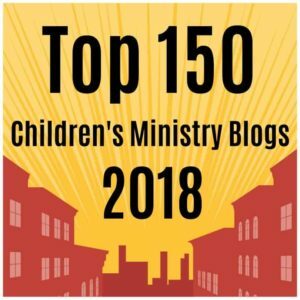 Objective: To teach children that God is faithful even when they feel small. Game: Do You Trust Me? Have each of the children take turns falling into the arms of the leader. Before each child falls into your arms, ask them, “do you trust me?” Once all of the children have had their turn, explain to them that you were faithful in catching them and in the same way God is faithful in taking care of each of them. Printable: Download our a Ruth and Naomi coloring page based on the illustration above. Target Age Group: This lesson is designed with younger elementary students in mind. However, it can be adapted for any level of students in your ministry. Memory Verse: At this point they can recite the previous week’s memory verse. Give them this new verse to take home and memorize for next week: “Trust in the Lord with all your heart,” (Proverbs 3:5A, ESV). Story Reinforcement: As a way for the kids to feel as if they are involved in the story, give each of the children a blank piece of paper and crayons. Ask the children to draw the story as they are hearing it. After the story is finished take time for each of the kids to show and talk about their picture. Bible Story: Today we are going to hear a story about two women named, Ruth and Naomi. The story begins in the land of Bethlehem with, Naomi, and her husband, Elimelech. Bethlehem was in the middle of a famine. Does anybody know what a famine is? (give them time to answer). A famine is when the land is SO dry that they are unable to grow any food! Naomi, and her husband didn’t know what to do, so they left the land of Bethlehem and moved to the land of Moab. Naomi, had two sons named, Mahlon, and Chilion, and it was in the land of Moab that her sons found wives. But something horrible happened, Naomi’s, husband and two sons died. Naomi, felt very small and very unimportant. Do you ever feel small or unimportant? (give them time to answer). Naomi, decided that she would go back to the land of Bethlehem. Naomi, said to her daughter’s-in-laws, “return to your own mother’s house.” One of her daughters-in-laws left, but the other clung to her and said, “Where you go, I go, your people will be my people, and your God will be my God.” Can you guess the name of her daughter-in-law? (Give them time to answer). Her name was, Ruth. The workers explained that she was with, Naomi, from the land of Moab. What, Ruth, didn’t realize was that the owner of the field was a relative of, Naomi. The owner’s name was, Boaz. Boaz, saw that, Ruth, was a good worker who cared for, Naomi. Boaz, was kind to, Ruth, and invited her to join him and his workers for a meal. Boaz, then sent, Ruth, home with grain for, Naomi. When, Naomi, saw the grain she was amazed and when she found out that, Ruth, went to the field of, Boaz, she was grateful, “May he be blessed by the LORD,” Naomi, said. Naomi, wanted, Ruth, to be taken care of, and so, Naomi, sent, Ruth, to where, Boaz, was sleeping. “Who are you?” Boaz, asked when he realized somebody was there “It is, Ruth,” she explained. Boaz, was honored that, Ruth, would be willing to marry him, but, Boaz, knew that there was a closer relative to her than him. The next day, Boaz, would go to town at meet this relative, if this relative would not take care of her, then he would. God, knew that, Boaz, would show kindness to, Ruth, and, Naomi. The next day, Boaz, and the relative met and the relative gave, Boaz, permission to marry, Ruth. Naomi, and, Ruth, felt very small, but, God, could see them and, God, knew what they needed. God, prepared their way in meeting, Boaz. God, took care of them, and soon, God, blessed, Ruth, and, Boaz, with a son. How was, God, faithful to, Ruth, and, Naomi? (Answer: By knowing their needs and fulfilling them). How has, God, been faithful to you? Application: God loves you very much and He cares for your needs. Even when you feel small God is with you. Even when you feel unimportant God loves you and you are important to Him. You can trust God with all of your needs. Pray to God because He is faithful and He loves you. Craft: Give each child a small box to decorate, (you can find small boxes for cheap at either Walmart or the Dollar Store). Write on each of the boxes, “God is faithful.” Then give each of the children five small pieces of paper and ask them to either write or draw five things they would like to pray for (one on each pieces of paper). Once they are done have them place their prayers into the box, they can take their box home. Suggested Snack: Pretzels tied into a bundle to look like a bundle of grain, and juice. Don’t miss our other activities for teaching from the Book of Ruth. I love your lesson plan on the story of Ruth and I will use it to teach my children in church, though with some adjustments because we are studying it one chapter per Sunday. Thank you for uploading it. God bless you. I am a children church teacher from Nigeria.